The easiest and one of the most thoughtful ways to brighten someone’s day is with customization. At Shutterfly, we think the most meaningful gifts are those that have sentimental value, and we can help you create beautiful outdoor home decor using treasured photos. 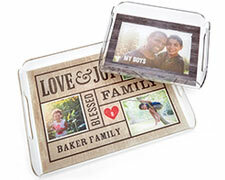 -Create warmth and ambiance on chilly evenings with a personalized candle from Shutterfly. Choose from a sleek variety of beautiful designs and personalize your candle with pictures, monograms and customizable layouts. They are available in a variety of light, pleasing fragrances. - Glassware is a unique gift that can be given for any occasion. 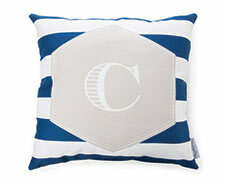 Not only are they very useful, but they are also trendy items that can be placed in any room or office. Sit by the fire pit or bonfire and watch the sunset, while sipping on your favorite sangria in personalized glassware from Shutterfly. Use them for stylish garden décor by growing your herbs in a mason jar. No matter where this classy gift is used, there’s no denying the appeal and warmth that glassware brings to the home. - Hosting a cookout or entertaining friends on your patio or deck while you enjoy the warmer weather? Classic home décor gift ideas like plates from Shutterfly are sure to bring joy to your friends and family - plus they're useful. More than just decorative furnishings that can be placed around a home, they can also be used at mealtime as practical conversation starters. 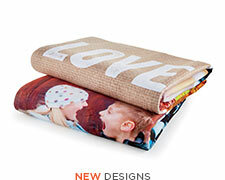 A personalized photo gift from Shutterfly shows thought. Meaningful gifts like these will be treasured by your loved ones for many years. If you really want to bring a smile to someone’s face for their next birthday or special occasion, give them a personalized photo gift that shows just how much you care.